Golf with Phil Arney ( TRT: approx. 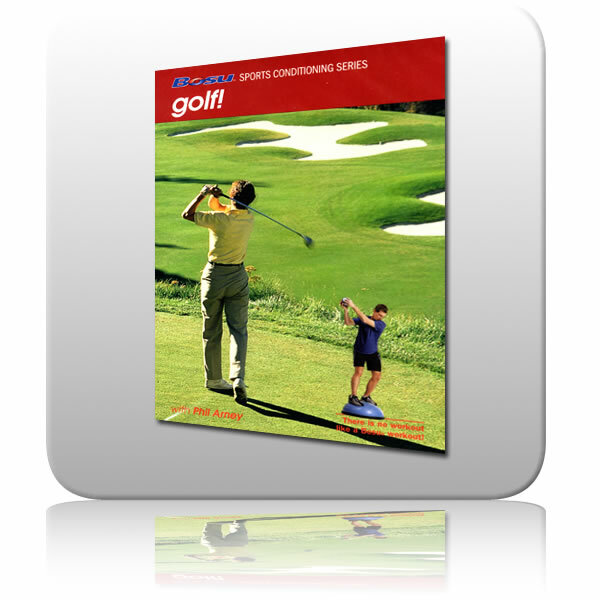 48 minutes) Golf is a complex sport and while you don't have to be incredibly fit to enjoy the game of golf, training integrated movement skills such as balance. Agility, core strength and rotary power can make a big difference in your performance throughout the course. Section I: Balance and Equilibrium Warm-up. 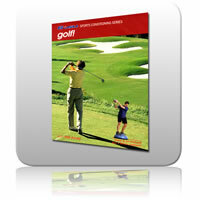 In golf, a balanced stance is the perfect position from which to produce power. This series of drills work on balance, posture and weight distribution. Section II: Loading for Power. This series of drills on strengthening the lower body and core while practicing movement patterns that will help you shift your weight with control. Section III: Power Posture and Core Stabilization. Strong ab and back muscles will help you maintain good posture, drive the ball further and control short shots or putts. This series of drills work on body stabilization before initiating movement as well as creating motor memory patterns that teach the body how to link motion together for skilled performance. Section IV: Strength and Rotary Power. This segment focuses on total body power production, core strength, stability and rotary movement skills. Your swing and your golf game in general will improve and you build strength and whole body control. Section V: Athletic Strength, Power and Core. These drills focus on total body power production, core strength, stability and rotary movement skills so you can play both more efficiently and with more power.